Entrepreneurship and entrepreneurial skills appear in most strategic plans and vision papers. A growing number of new companies is expected to revive employment and boost regional economy, and furthermore entrepreneurship can be seen as a mindset which involves a high level of positive attitude, goal orientation and responsibility. Thus the entrepreneurial attitude is a skill which every employer and manager ranks high on his most-important-skills list. The TUAS (Turku University of Applied Sciences) – UniTre (Universitá Roma Tre) Summer school in September 2018 was arranged for sharing research results and learning practices related to entrepreneurial skills and mindset. Even in the European Union modernization agenda for higher education institutes entrepreneurial and innovative skills are highlighted. Higher education institutes such as TUAS are expected to produce entrepreneurial and innovative skills throughout all faculties. In universities and other educational bodies this is seen as a major challenge, since these skills cannot be learned through transition from teacher to student. The essential body of these skills belong to person related skills which involve self-knowledge, personal goals, motivation, reflection and strategies (Schleutker 2018). According to the socio constructivist theory, the learner (e.g. in working life) is the actor of his life and in the center of the learning process. Consequently, the motivation, need and choices are expected to arise from the student, while the role of the educators is to facilitate the learning process and produce stimulating learning environments. Well, what´s then needed for personalized learning? As a result traditional teacher-centered methods are challenged, as well as subject-related study contents. Employers increasingly call for graduates with a broad scope of personal skills, completed with substance knowledge of specializations. At TUAS the innopedagogy aims to tackle these learning challenges. Our new Italian partner university UniTre in Rome is conducting researches on managers´ skills and the connection between core skills and substance skills. These mutual activities open interesting insights practices for learning entrepreneurial skills, which gave good reason to arrange a shared Summer School. Entrepreneurial skills – something that can be learned? An entrepreneur´s position might represent a ‘changing work environment’ as best. Every day is another day of meeting new people, communicating with customers and employees, making decisions and converting business opportunities into business. Thus an entrepreneur needs skills such as innovative thinking, communication, team working, initiative and decision making, creativeness and networking. Due to the personalized character of these skills, one of the most interesting questions for teachers is how to enable the formation and learning of entrepreneurial skills. These skills are rather a set of skills expressed in various ways in different situations than a constant set of skills which are repeated as same (e.g. Scardamalia & Bereiter 2006). These kinds of transversal skills, once learned, can be adapted in different situations in multiple ways. Moreover, these skills are intrinsic of their character, which means that they involve personized learning with personal motivational, metacognitive processes (Schleutker 2018). Regarding motivation, different significances and goals are involved individually. Well, what´s then needed for personalized learning? According to Sawyer (2006) some basic conditions exist: knowledge of own motivation and goals, reflection and authentic learning tasks. This type of learning method is supported by several pedagogical theories, such as pragmatism, socio constructivist theory, and the mind-set of learning organization. For practicing these theories several pedagogical methods can be used: learning by doing, problem based learning, team learning, flipper learning and innovative pedagogy methods which combine student work with assignments from companies. The TUAS-UniTre summer school held 3.-9.9.2018 offered exchange of best practices in the field of entrepreneurship and soft skills in higher education, organized by team coach Kai Schleutker from TUAS and professor Valeria Caggiano from UniTre. 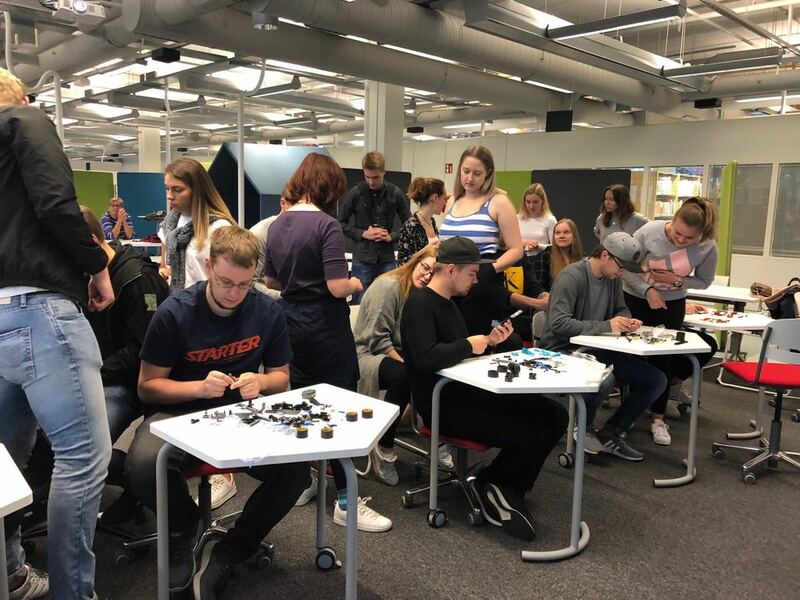 One of the practices was a learning lab called Lego Bricks for tips, which was carried out with 35 second year business students at TUAS Salo Campus, conducted by Fabiana Coluzzi and Francesca Amenundini. The Lab involves a time-bound assignment – in this case assembling of a Lego game – with continuously changing roles in a five persons’ team. The teams are expected to assemble their Lego game in the most efficient way, all members following the role they have given for the moment. The roles are builder, communicator, ambassador, leader and surveyor. The method emphasizes the constructive capture of each one´s respective role and the use of soft skills in group dynamics, and the reality-based task gives an authentic experience of functioning under pressure for the group participants. The method is apt to enhance team working skills, flexibility and adaptive skills, leadership skills and communication skills in a much more concrete way than most traditional learning methods. The Lab includes the presentation phase, working phase and a de-briefing phase lasting totally for 2-3 hours. The participating students considered the Lab as suggesting and engaging. In the process of capturing their roles instantly some felt even somewhat inconvenient and unsecure, given that they had to capture new roles instantly and with lacking information. As the most important learning outcome the students considered the handling of pressure and ability to adapt in new roles, as well as the enlarged view on the multiple challenges that team work might involve. From the coaches point of view this workshop served for strengthening the team´s habit of working together, as well as be trained to work under pressure in intensive situation. The Lego lab is apt to enhance team working skills, flexibility and adaptive skills, leadership skills and communication skills in a much more concrete way than most traditional learning methods. This way of learning fits perfectly in the TUAS innovative pedagogy, which seeks to apply appropriate learning environments and tools for assimilating innovative skills. Lehto A. & Penttilä T. (eds.) 2013: Pedagogical Views on Innovation Competences and Entrepreneurship – Innovation pedagogy and other approaches. Reports from Turku University of Applied Sciences 171. Sawyer, K. (2006) The new science of learning. In Cambridge handbook of learning. Cambridge university press,1-16. Scardamalia, M. & Bereiter, C. (2006) Education for the knowledge age: Design-Centered models of teaching and instruction. In Handbook of educational psychology, 695-713. Schleutker, K. (2018). 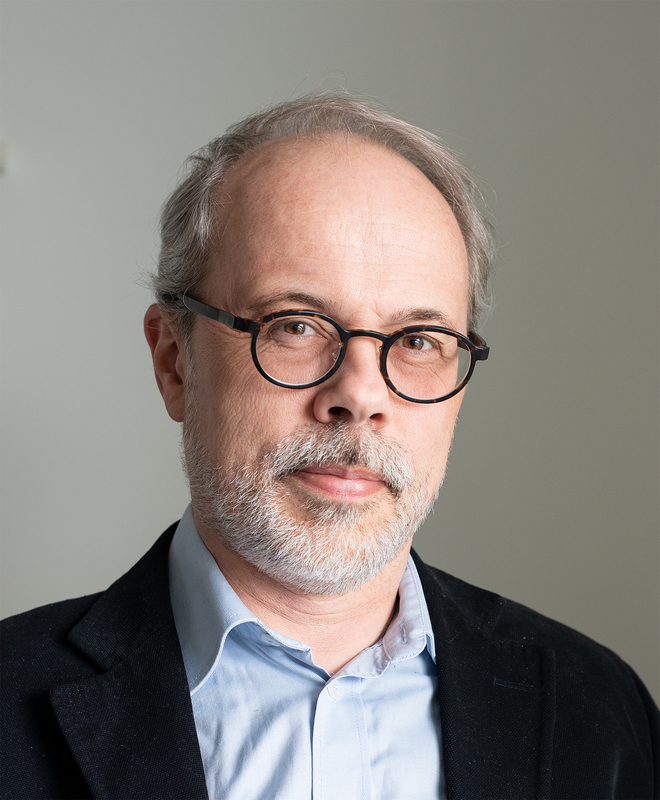 Yksilötason liiketoimintaosaamisen määrittelyä ja liiketalouden opiskelijoiden oppimisen taustalla vaikuttavista tekijöistä ammattikorkeakoulutuksessa. Tampereen yliopisto, pro gradu. Zimmermann, B. & Schunk, D. (2011) Self-Regulated Learning and Performance. Teoksessa Zim-mermann, B. & Schunk, D. Handbook of Self Regulation and Performance, ss. 1-14. New York: Routledge.